NBC10 Boston, necn, and Telemundo Boston are partnering with Simon malls to collect new or gentle-used coats, hats, mittens, scarves and more which will be donated to support the Big Brother Big Sister Foundation and its mentorship programs. Time is running out to help Bundle Up New England. NBC10 Boston, necn, and Telemundo Boston are partnering with Simon malls to collect new or gently-used coats, hats, mittens, scarves and more. They will be donated to support the Big Brother Big Sister Foundation and its mentorship programs. “You’re going to be making a difference,” promised Justin Feldhouse, the general manager of the Burlington Mall. The mall is one of eight Simon properties in Massachusetts and New Hampshire helping the campaign. Already, more than 5,000 donations have been tallied. The Burlington Mall, which is collecting donations on the lower level outside the Lord & Taylor Store, said on top of several hundred donations in recent weeks, it’s expecting a post-Christmas boost. “I think people who got new jackets for Christmas certainly could be coming down here to drop them off to do some good,” Feldhouse said of new or gently-used winter garments. There still is time to help out. 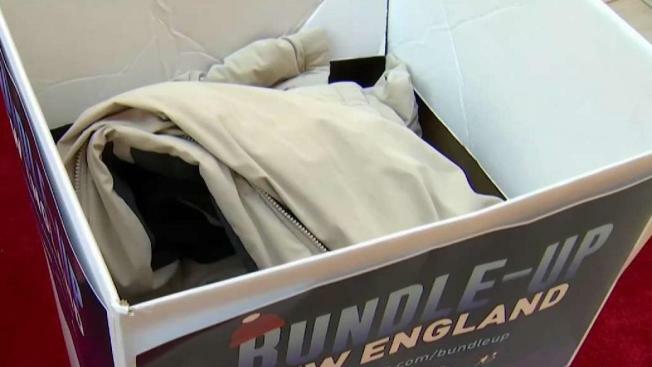 The Bundle Up New England campaign runs through New Year’s Eve. For a full list of participating malls, click here. Guest services desks at each location can point you to the drop-off area.